Share the View Photography Competition is sponsored by Denver Audubon, a 501(c)(3) non-profit organization. Proceeds received by Denver Audubon benefit the organization's education, conservation, and research programs. Denver Audubon's competition aims to increase the appreciation of the natural world by highlighting images from outstanding nature and wildlife photographers. Submissions open on October 15, 2019 at 12:00am (Mountain Standard Time) and close on December 1, 2019; 10:00pm MST. However, if a photographer has created an account on the contest website by December 1, entries may still be submitted until 10:00pm MST on December 5, 2019. Photographers who have entered previously or have already created an account do not have to register again. Images will be judged anonymously by jurors experienced in the field of nature and wildlife photography. Scores are based on originality, quality and impact. All decisions made by the judges and contest organizers are final. All photographers will be notified with their judging results by the end of December, 2019. The top 250 images will be viewable on the contest website in early January, 2020. Cash prizes will be awarded to the top 10 images in the amounts shown below. The top 250 images will be featured on http://denveraudubon.contestvenue.com. The top 250 finalist images will be displayed on the contest website during 2020. One finalist image will be featured on the home page each day and all 250 will be accompanied by the photographer's name, contact information and link to website if desired. Photographers may enter as many images as they'd like at $10 per image or 6 images for $50. Images selected for the Top 250 from previous years cannot be re-entered. Complete submission guidelines for image specifications are on the Image Specs page. 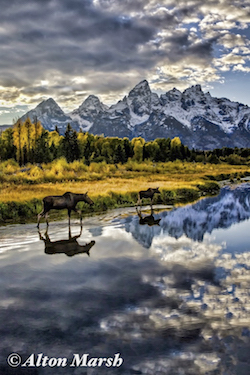 Photographs that have won other major photo contests, either online or in print, as determined by the Share the View administrators, are not eligible for submission. We define winning as having won a grand prize or 1st, 2nd, or 3rd place overall. To insure anonymous judging, images may not contain any watermarks, text, logos, borders, or other identifying marks. In addition, no text can be entered in the title, location, or description fields of an entry that would identify the photographer. And finally, we will remove all metadata during the upload process. Copyright remains with the photographer. By entering, photographers agree to allow Denver Audubon to publish their top 250 images on the website and to use them in promotions for future contests. Unless photographers opt out on the entry form, their names and website links or email addresses will appear adjacent to their winning images. Share the View nature photography competition is open to anyone 18 or older who is not directly involved in judging this contest. All entries should accurately reflect the subject matter of the scene. Two types of entries are acceptable, those with only traditional modifications and "Photo Illustrations." Both types are described below. Photographers may be asked to supply the original RAW or unaltered original JPG file to verify the degree of alteration. Traditional photographic modifications to an original image include adjustments to color, contrast, brightness and sharpness; removal of dust and scratches; cropping; and black-and-white conversions. No special designation is required for entries that use only traditional processing. Entries should be designated as "Photo Illustration" if elements not significantly altering the content of the scene have been removed or if multiple photographs of the same scene have been combined with techniques like panoramic stitching, multiple exposures combined for greater tonal range, and focus stacking. Changes that are not acceptable include photo composites (combination of two or more photos not of the same scene); the addition, duplication, or relocation of objects; removal of significant elements or the use of artistic digital filters and effects that do not show the scene as it occurred in nature. Contest organizers may ask for additional information regarding images or circumstances of creating images before finalizing any of the top 250 winners. RAW or original files, or original slides or negatives may be required for examination before finalizing the award. If requested, the source images requested must be provided within one week of notification or the contending photo may be disqualified. It is the entrant's responsibility to provide an accurate email address for notification. Share the View is not responsible for emails that are not received, so please be sure to set your e-mail program and spam filters to accept e-mail from "contestvenue.com"
All decisions by the judges and administrators of Share the View are final. By submitting entries, photographers acknowledge that their images do not reflect harm to the environment or harassment of wildlife and that manipulation altering the material content has not been done - unless meeting requirements for "Photo Illustration" as described above and checking that box upon upload. If suspected, images not abiding by the rules of this contest will be disqualified and refunds will not be given. Each image must be the work of the person entering it. By submitting a photograph to the Share the View Photo Contest you warrant that you are 18 or over and the copyright holder of the image, that you alone own the copyright, and that you have obtained any necessary property and model releases. If your photograph is selected as a winner of the contest, you may be asked to submit a personal release, location release, or model release.